On Monday, 28th August 2017, ICEX launched world's first diamond future contract. On Monday, 28th August 2017, ICEX launched world's first diamond future contract. Speaking to Business Today's Mahesh Nayak, Sanjit Prasad, MD & CEO of ICEX talks about the idea to come out with diamond trading in India and the scope of growth which opens an entirely new market for the diamond players, where sellers can deliver their certified diamonds to different buyers. The contract is initially launched in size of one carat with compulsory delivery. The exchange also helps retail investors to participate in buying diamonds as low as one cent and after accumulating to about 100 cents can go ahead and buy physical one carat of diamond from the exchange. While ICEX has the first mover advantage, it's not the first time that ICEX is coming out with innovative ideas on the commodity exchange but had to face failure. It would be interesting to see if the diamond future contract can change the future of ICEX or will again lose the momentum to keep investors interest on its exchange. BT: What was the idea to come out with derivative trading in diamond on the exchange? What is the scope of growth? Prasad: At ICEX our focus is to launch unique and innovative product contract which is economically relevant and important for the country and the stakeholders. Diamond is one of the largest foreign exchange earning industry for India. Annually India exports diamonds worth approximately $25 billion with value addition of approximately $7.2 billion. Hence diamond is very important and economically relevant to the country. In recent times Diamantarians have been exposed to the price risk impacting their capital and margin. We have studied the commodity and found it is one of the excellent products suitable for futures trading and we could provide hedging instruments to the diamond industry to manage their price risk. It all started from there to launch the diamond future contract. Similarly there is no futures trade in diamond anywhere in the world making it an excellent choice. India being the largest exporters of polished diamond, it is all but natural to provide them with the required hedging tool which will strengthen their business. After all the physical diamond market of India is approximately Rs 1,70,000 crore and futures trade volume in established contracts range anywhere between 20-30 times of physical market value on conservative estimate. So there is a big scope of growth. BT: Why will someone want to come to the exchange to buy a diamond when it has to pay a GST as well as CTT? Prasad: Diamond price which is quoted and traded on exchange platform are of wholesale price rate. The rate of same quality diamonds are 25 to 30 per cent higher in retail market. Unlike retail market, the diamond purchased at ICEX is certified and further there is a lot more for the investor in diamond at ICEX. One carat of diamond costs around Rs 3.5 lakhs, which for the investor or buyer is big amount. But, in ICEX trading unit is one cent i.e. 1/100th of carat hence one could buy in staggered manner in smaller units of one cents and multiple either for investment or for physical delivery when accumulated units become 100 cents equivalent unit of 1 carat. As described in above points, value proposition for the retail buyers are huge at ICEX. BT: While you have certification for a purchase of diamond. 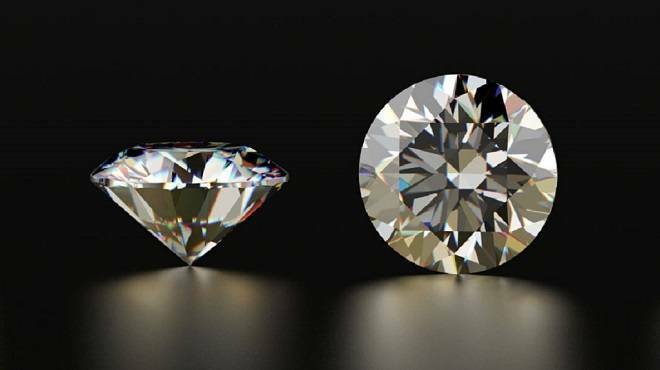 How do you differentiate if the diamond bought by an investor is not a blood diamond? Prasad: In first place, India is the signatory of Kimberley Process certification scheme of diamond which certifies if it is blood diamond. The rough diamond import into India is scanned by custom department as per KPCS. ICEX adheres to the principle of the organised market place and permit delivery of certified diamond as per the quality parameters. BT: Have you sought permission for market making on the exchange and till when have you sought the permission? What is the money you are paying to brokers to market make on the exchange? If not how do you plan to bring volumes on the exchange? Prasad: As of now there is no policies for market making on the exchange for commodity derivative by Sebi. As and when policy comes into existence we will respond. Moreover, we firmly believe that grass root level efforts among the physical market participants are the best means to get the volume and liquidity. We have been working, understanding, educating and training the stakeholders for the past two years which is effective way of getting volume on the exchange platform. We will continue our effort. Further, couple of settlement cycle the market will have full understanding of the process and confidence. BT: It's not the first time that the exchange is coming out with innovative ideas on the commodity exchange but had to face failure. This time how do you plan to maintain interest among investors and traders to keep the momentum going in terms of volumes as well as business for the exchange? Prasad: We have witnessed the growth of Derivative markets in India over last one and half decade. Foremost important thing for volume and business is providing effective instruments and solutions for the business ecosystem. We have been working, understanding, educating and training the stakeholders for the past two years which is only way of getting volume on the exchange platform. We will continue in our effort in delivering right kind of instruments and solutions which will ultimately translate into business volume. BT: How do you plan to keep your peers at bay when they enjoy 90-95 per cent market share and are also trying to come out with the same product and have applied for approvals? After all we have seen that exchange that enjoys the highest market share still continuous to dominate the space which is also evident in the securities market? Prasad: Success of any exchange is all about understanding the market, product, and stakeholders. Next is designing of the product contract with innovative value proposition which suits them. We are confident of our efforts and engagement with the stakeholders of the commodity ecosystem. BT: When does the exchange plan to break-even and become profitable? Prasad: At present exchange have net worth of Rs 121 crore. Post merger with the NMCE our networth will be approximately Rs 200 crore. Therefore we are adequately placed in terms of SEBI mandated norms of meeting networth criteria. In exchange business, couple of years of good business operations are well enough to break even. BT: Can ICEX survive on one commodity product? And why? What are the plans to grow in future in terms of differentiated product offering? More so when we in India are talking about universal exchange concept? Prasad: Diamond is the first commodity and beginning of the exchange operations. ICEX shall come out with relevant commodity having economic importance in a phased manner. We are working on various products, but our focus is to first engage with the stakeholders of the commodity ecosystem then design the products.